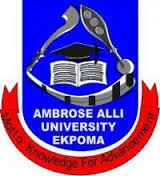 Ambrose Alli University, AAU Ekpoma Registration of Postgraduate Students and Final Year Students for EDOJOBS and EDO INNOVATES Programmes for 2018 Session. The Skills Development Programme, an initiative of the Governor of Edo State, with a mandate to create 200,000 jobs, has metamophosed into EDOJOBS and EDO INNOVATES, with a focus to match job seekers with the right vacancies. Faculties of: Agriculture, College Basic Medical Sciences, Clinical Sciences, Engineering and Technology, Physical Sciences and Life Sciences. Faculties of: Management Sciences, Arts, Social Sciences, Law, Education, Environmental Studies. Please, note that it is mandatory for all final year students who want to proceed on the National Youth Service Corps and also for postgraduate students seeking employment to register. Heads of Department are through this medium requested to submit the names of all the final year and postgraduate students in their Departments to the Academic Planning Unit on or before Friday, 14th September, 2018 unfailingly. Deans, Head of Departments, Faculty Officer, Students’ Unions Governments, Faculty unions, Departments and all Administrators of students social media platforms are enjoined to give this the widest publicity to ensure no beneficiary is left out.